I’ve never been asked what race is my favorite, but if I were, I would have a hard time answering that question. I’ve loved individual aspects about every race I’ve run. The Firefly 5K in Chicago was miserable. It is, without question, my least favorite race I’ve run thus far. Now, to be fair, there were a lot of things on my end that made the race less than ideal. For starters, I worked 5:30 a.m. to 1 p.m. By the time I got home, I had 45 minutes to regroup and change before heading off to my first soccer game of the rec league I joined. I played soccer for nine years growing up and loved getting back on the field after a seven year break and kicking around with my new teammates. (We lost our game, but we really held our own, in my opinion, especially considering the other team had a total stud [soo frustrating when the too-good-for-rec-league players play in a rec league. Go to intermediate if you’re going to be that competitive! Ugh.] and had been playing together for two years, whereas my team is made up of people that had never played together before yesterday). During this soccer game, though, I messed up my foot. Like, seriously, will-for-sure-be-out-for-a-week-if-not-more messed up my foot. I stopped on a dime to change directions, and in the process it felt like the inside half of my left foot shifted over the outside half. It also made this awful cracking noise, a lot like what happens when you crack your knuckles or back…except doing that generally relieves pain, not causes it. I took myself out for the rest of the game after it happened, but the pain didn’t really go away. Knowing I had the 5K later that night, I broke all the smart injury rules, took two ibuprofen, applied some Biofreeze-type stuff I got in my goodie bag at the Chicago Half, and decided to run anyway. Yes, I’m an idiot. But man, I paid a lot of money to run that race, and I was not going to let a foot injury stop me from running (because I’m an idiot). Even with my foot woes, I was still excited to run the Firefly 5K. I had never run a gimmicky race before, and the atmosphere pre-race was awesome. Everyone was decked out either in fluorescent running gear or black with enough glow sticks to put a rave to shame. There was a ton of energy and I was really pumped. The race had both a 10K and a 5K, but the website never specified which race began when. They made a couple of announcements, but the pre-race area was so large and noisy that you couldn’t hear anything. I ended up asking at the registration table and found out that the 5K started at 7:45, not 7:30 like I expected per the website. Regardless, I headed over to the starting area around 7:20 to be ready when it was my turn to go. The 10K ended up starting 10 minutes late and seemed rather disorganized. When the runners took off, two girls standing behind me said, “Wait, do we start now too? I don’t know, let’s just go,” and took off with the 10Kers. After the 10K runners cleared out, those of us running the 5K filed into the starting area. The start line was horrifically organized for a race that size. I’ve run three 5Ks with no pace organization: two of those 5Ks had less than 200 runners, and the third started with many repeated announcements that we should organize ourselves more or less by pace (faster runners in the front, slower runners and walkers in the back). The Firefly 5K didn’t do anything of the sort. Because of that, the first mile of the race was a nightmare. Runners of all paces and walkers crowded the path. I really don’t take racing that seriously, but I felt like a legitimate racer with the way I had to jostle around people for a good position. Even though I felt like I ran hard, I crossed the first mile mark at 10:03 by my Garmin. I have some serious doubts that the mile maker was accurate, however, because my Garmin didn’t register that I hit the first mile until 10:33 on my watch. The rest of the race was spot-on with measurement (I hit the 2 mile marker exactly as my Garmin beeped, and when I stopped my watch I was at 3.10 miles), which makes me think even more that that first mile marker was off. After the path cleared out, it became slightly easier to run fast, but it was by no means simple. This was a night race, of course, but the running path was horribly lit. As in, it wasn’t lit at all. The course changed from asphalt to trail to asphalt to concrete and back again with no warning, and you had to hope that you didn’t step in a pothole and destroy your ankle because you could not see anything. It was both annoying and struck me as incredibly dangerous. I was able to make up some time in the last two miles, but you can’t really come back from a 10:33 first mile when you hoped to run 8:45s or 8:30s straight through. I ran a 9:16 second mile and 8:47 third mile, which was much closer to what I had hoped to run but still couldn’t erase my half-marathon-slow first mile. My official finish time was 29:15: an all-time worst 5K for me by 2:11. Obviously, a lot of things on my end contributed to my poor performance. My foot was not in good shape, I had already had a long day, and I’m coming right off half marathon training, which means I’m primed for distance right now, not speed. I didn’t expect to PR (though I also didn’t expect to personal worst by that much). However, I was not impressed with the race. The pre-race organization was terrible, course was dangerous, and running through a fog machine at the finish line was hell on the lungs. A lot of things would have to change before I’d even consider recommending this race to anyone, and I highly doubt that I’ll ever run it again myself. Thank you for being so patient last night. Though things were not perfect, especially the course markings, water stations and bag check, we have taken notes to ensure for a much improved event setup in the future. Lesson learned: gimmicky races are not my thing. As for this whole foot thing, I don’t know what it means for the rest of my season. I’m registered for another race on October 21 and was seriously considering running the Santa Hustle (says the girl who just declared that gimmicky races are not her thing…but you guys. Cookies and candy. AND A SANTA SHIRT. I’d run another crappy 5K for cookies, candy, and a Santa shirt), but all of that is up in the air right now. I’m hoping to go to Athletico sometime early this week for one of their complimentary injury screenings to see if they can give me an idea of what I did. It hurts to move my toes (and thus hurts to walk, because walking involves toe movement) and there’s a little swelling, but it doesn’t hurt to just exist, so if I had to guess, I’d say I probably strained/sprained some toe tendons/ligaments. If that’s the case, I imagine I’ll be good to go for sure for the Santa Hustle and *maybe* for my October 21 race, since I have five weeks to recover. If I broke something…I’d rather not think like that. This definitely does not bode well for the rest of my soccer season, but if I had to pick a time to get injured, right now would be that time. My half marathon is over and I have more than enough time to recover before training starts next year for whatever challenge I decide to tackle 🙂 In the mean time, I’m avoiding all unnecessary movement getting reacquainted with my BFF, frozen peas. Have you ever run a really awful race? Let’s share injury stories! I injured my back about this time last year, too. That was fun. And by fun I mean the. worst. This entry was posted in 5K Training. Bookmark the permalink. Sorry about your foot. I hope nothing serious happened. I was going to do the firefly 10k but then I decided not too because the course seemed sketchy. I havent had any awful races. I had an IT band injury earlier this year in January and couldnt run for 2 months. I also have tendonitis in my ankle ( I broke it when I was in 8th grade). Ah, the classic running injury. You can’t be a runner until you’ve injured your IT band! Haha. From what I’ve heard, the 10K was even worse than the 5K. Yikes! First time races and either go great or go really, really badly. Sounds like this one was the latter. I’m always intrigued to see if those races pop back up the following year. I hope your foot is okay! It sounds really, really painful. Yeah, they’ll definitely need to make some huge adjustments if they plan to come back to Chicago. It seems like this was a banner year for new races, and I’m totally with you — can’t wait to see which ones do/don’t come back next year. Ugh! I hope you did not break something! 😦 It sounds like you have some fun races and soccer ahead! The gimmicky races seem to draw out the less serious runners (sometimes) and there does seem to be a lot of them popping up this year! I hope they are able to fix these issues if they do the race again! I’ve definitely noticed less serious runners at gimmicky races, especially ones with 5Ks. Pretty much anyone can walk 3.1 miles, so if the race has a good theme you’re going to get a way different crowd than you’d get at your standard 5K. I think if I ran another race like this that had the option of a longer distance (like a 10K), I’d opt for that. It’s not hard to convince someone to walk 3.1, but convincing them to run 6.2 is a whole other ball game haha. 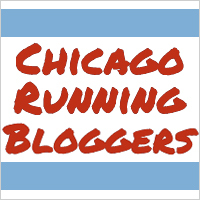 There have been quite a few problems with gimicky races in Chicago this year, I’m so sorry to hear that your experience was bad! I also can’t imagine running quickly in the dark on trails. That is not safe at all! I hope your foot heals quickly. Rest and ice should do it! Good luck! Yeah, I don’t know what they were thinking, unless they just didn’t check out the course at all before making it. Dumb. Good to know! It probably would be good for me to run a 5K where I’m not crazy obsessed with my time…sometimes you just gotta run for fun, you know?